When Willy Fleckhaus died suddenly of a heart attack in September of 1983, the design world lost one of its most innovative and stimulating citizens. Born in Velbert, Germany in 1925, Willy Fleckhaus began his career as a trained journalist and editor. During the 1950’s, he wrote for and edited many publications specializing in various subjects, from religion and politics to national labor issues. 1959 was a very good year for Willy Fleckhaus. It marked his association with the birth of one of the most intellectually compelling and graphically exciting magazines the world would see: Twen. Twen, short for twenty, catered to the first generation of young German adults who came of age after the end of World War II. It was published from 1959-1970 when deepening political and intellectual thought, combined with increasing sexual awareness, captured the attention of its spirited audience. Twen was unmatched in its avant-garde visuals, layouts, typography and fine, literary content. The late fifties and early sixties were considered renaissance periods for redesigning magazines. Fleckhaus andTwen were indeed at the forefront of such a renaissance. What Otto Storch was to McCall’s, Allen Hurlburt was to Look and Henry Wolf was to Show, Willy Fleckhaus was to Twen. Fleckhaus, though not a designer by trade, was acutely aware of how Twen should look. The format and content obviously reflected the vitality of its readers. He developed a unique design theme based on gut feelings and the trendy subject matter of the magazine. Published monthly, Twen‘s covers consisted of eye-catching photos or feature copy on black backgrounds. Fleckhaus enjoyed using one typeface in contrasting colors to highlight specific articles. Twen‘s table-of-contents page was different each and every month. They were a marvelous pastiche of layouts adorned with stunning visuals; specifically tailored to each issue’s topics. In essence, they were perfect segues to what awaited its readers on succeeding pages. Twen was unsurpassed when it came to overall design, exhilarating photography and illustration. Fleckhaus always managed to startle, challenge and eventually persuade the reader’s eye and mind into the opinionated world of Twen. His uncanny ability in selecting visuals by some of the world’s finest—Art Kane, Pete Turner, Will McBride, Irving Penn, Richard Avedon, Tomi Ungerer and Hans Hillmann, madeTwen‘s impact even more captivating. Fleckhaus was, in effect, a master of visual montage. He was to magazine design what Sergei Eisenstein was to film. Each, through selective cropping, framing, reducing and enlarging, were able to elicit specific editorial and emotional responses from readers and viewers alike. Power of this magnitude was indeed a stroke of genius! Such power led to many internal problems at Twen. The actual editor became, for all intents and purposes, a ceremonial position. The job was reduced to a revolving door of resignations and damaged egos. As its readership matured and specific social issues died or shifted, so did the appeal of Twen. In 1970, the last of many publishers forced Fleckhaus to resign andTwen folded soon after, thus ending an era of magazine brilliance. Like most successful designers, Fleckhaus pursued other interests. From 1960, he designed countless book covers forSuhrkamp and Insel Verlags in Frankfurt. His highly sophisticated yet simplistic designs, along with a penchant for selecting or creating the right typefaces, shattered the old adage, “You can’t judge a book by its cover!” If Fleckhaus designed a book jacket, chances are it became a best seller. Fleckhaus’s book jackets mirrored his covers for Twen in that they both lured readers into the exciting literary world that awaited them between the covers. His designs, no doubt, put him in high esteem with both publishers and authors alike. All profited financially and grew in popularity from his jacket designs. During a Stuttgart Typographer’s Seminar in 1980, Fleckhaus claimed to create a cover a day! 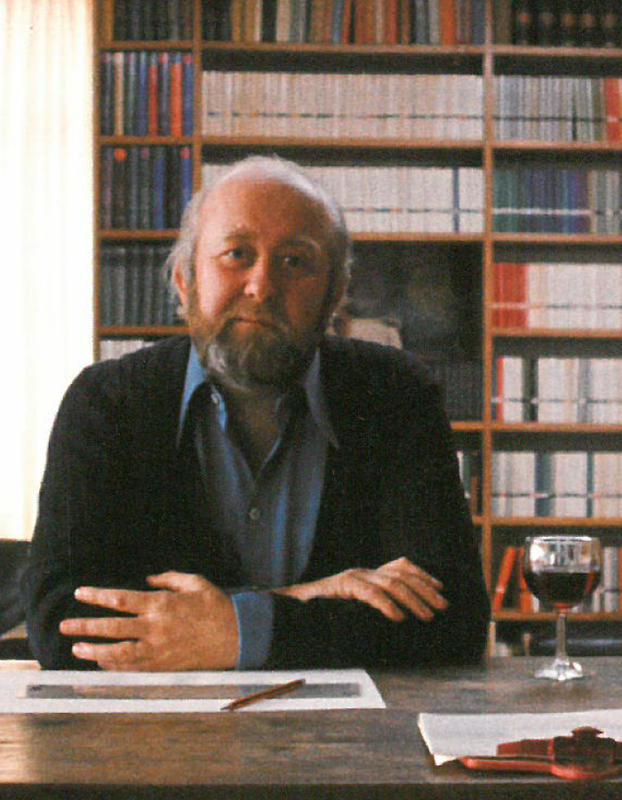 In 1976, Suhrkamp publisher, Siegfried Unseld wrote a book chronicling Fleckhaus’s immense contribution to book design. It was entitled: Der Marienbader Korb. The book, privately published, remains a visual feast and historical retrospective into yet another dimension of the creative mind of Willy Fleckhaus. In 1974, Fleckhaus became Professor of Graphic Design at Essen University and held the same position from 1981 at Wuppertal University. It was only natural that eager design students wanted to learn from the master. Fleckhaus taught and nurtured only the best and most promising. Bauhaus influences, coupled with the inspirational teachings of Alexey Brodovitch and close friend Max Bill, gave students a working education they couldn’t get anywhere else. There are many Willy Fleckhaus protégés sprinkled throughout the world today. One of the most heralded is Hans-Georg Pospischil, art director of Frankfurter Allgemeine Zeitung Magazin, a position he has held since Fleckhaus’s death in 1983. Six months later, Fleckhaus called Pospischil back from Hamburg and asked him if he wanted to become his assistant on a new publication venture, one that was to again change the way people look at magazines. The date was Friday, March 7, 1980—another milestone in the life of Willy Fleckhaus. The very conservative daily tabloid Frankfurter Allgemeine Zeitung decided to publish a weekly magazine supplement. Fleckhaus, remembering how much he enjoyed working in Twen‘s stimulating environment, readily accepted the job as art director. Through his innovative design principles, F.A.Z. Magazine achieved the reputation of being the most beautiful and widely read publication in the world! Though editorially the antithesis of Twen, F.A.Z. Magazine developed a style reminiscent of its predecessor, only better and more sophisticated. Fleckhaus’s covers for the magazine exuded style. From the elegant Gothic typeface to the compelling, almost sfumato-like visuals, they were common threads for all editorial and graphic inside matter. As an example, one cover features a realistic illustration of a can of red paint. We turn to the table-of-contents page. It centers around a photograph of a tube of spurting blue paint. Subsequently, an article on the power of the color red appears. The eye-popping double-bleed layout is awash with color. Peter Kramer’s vivid illustration of a brown, wood paintbrush, dripping and streaking across the spread with red paint is absolutely marvelous! Week after week, page after page, Fleckhaus tempted his readers with such visual artistry. His revolutionary magazine designs were, in sum, achieved through structured, carefully planned chaos. The timely nature of a weekly supplement made for interesting subjects on which to report. Fleckhaus, at times, flexed his journalistic muscles and also contributed editorially to the magazine’s success. Even in his private life, aside from his devotion to family, fine food and wines, Fleckhaus’s work was his pleasure. In the third glorious year of his reign at Frankfurter Allgemeine Zeitung Magazin , Willy Fleckhaus died at his home in Tuscany. There will never be another Willy Fleckhaus. Yet, the vast legacy of work and the list of immensely talented disciples he left us prove the Genius of Magazine Design is still very much alive.